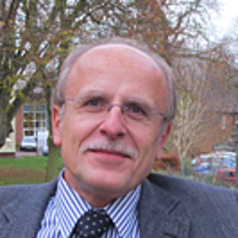 I am Professor of Comparative Politics at Keele University, where I convene the Keele European Parties Research Unit (KEPRU). My current research focuses mainly on political parties, including their organization, their role in deeply divided societies and party competition. I was part of a major ESRC-funded project (hosted by KEPRU) on the impact of European integration on the internal organization of national political parties throughout Western Europe. Recently, I have been working with an international group of scholars on the links between social democratic parties and trade unions. I continue to research into the organizational adaptation of radical right-wing parties and into the strategies of those parties and of their competitors, as well as to specialize on Austrian party politics. In 2009, the Austrian Federal President awarded me the Austrian Cross of Honour for Science and Arts. In 2014 I was appointed to a three-year Guest Professorship at Tongji University in Shanghai and started looking into the organisational adaptation of the Chinese Communist Party. Since 2015, I have been Keele University's Dean for Internationalisation.